< Burns Night Cranachan Recipe! 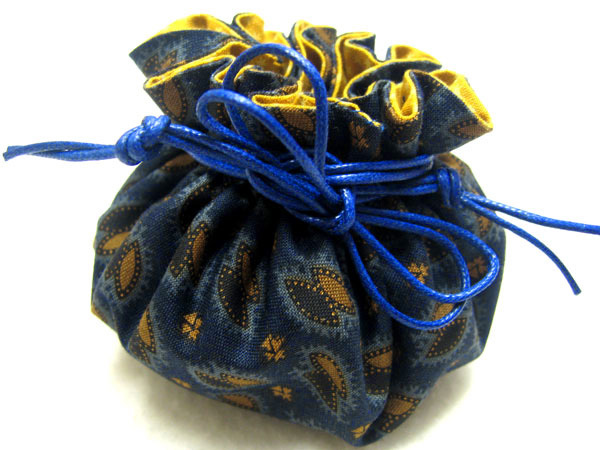 Use it as a small gift bag, instantly making any gift look special. Place herbs inside it and hang it up to make an attractive room fragrance. Use it to keep your jewellery in. 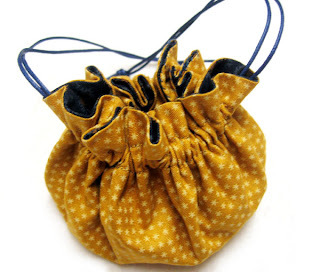 Make it slightly larger and it could be used as a perfect bridesmaid bag. 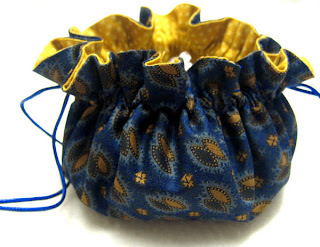 Again make it slightly larger and using glitzy fabric, easily make yourself an evening bag. 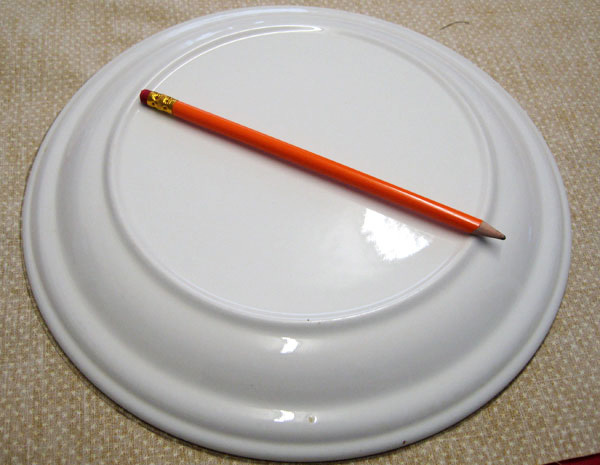 Draw around your dinner plate on both your outside and lining fabric. 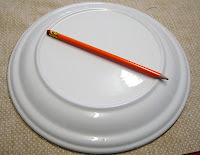 Cut along your pencil lines so you have two circles of the same size. These usually look good if one fabric is paler than the other. Place the circles right sides together and pin around the edge. Sew around the edge of the circle (this can be by machine or hand). 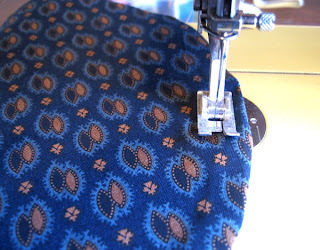 Remember to leave a gap so that the fabrics can be turned the right way out. Clip around the edge of the circle at approximately 5cm (2″) intervals. Turn the circles the right way out and sew the gap closed. 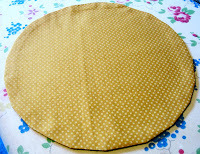 Next iron your circular mat flat. Now we need to create a channel for the drawstring cord to go through. Begin by sewing around the circle approximately 1 1/2cm from the edge. 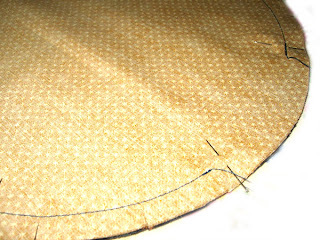 Sew a complete circle with no gaps and make sure to sew back and forth at the beginning and end of the circle to reinforce. 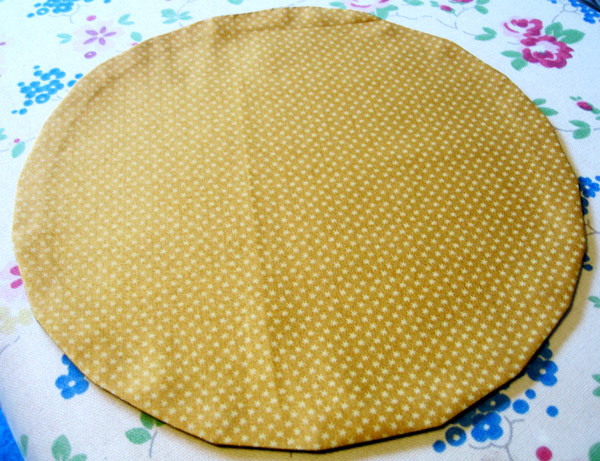 Now we sew another smaller circle, approximately 1cm in from the circle we’ve just sewn. Again no gaps and sew back and forth. 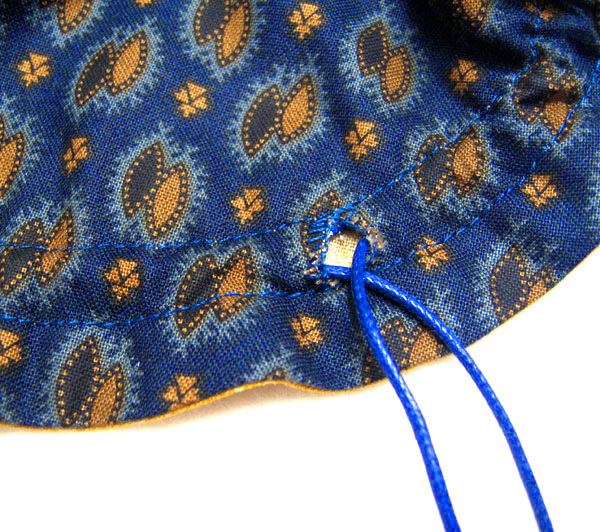 Now we need to make two small cuts in our new channel so we can push the drawstring in. Cut on either side of the circle so that they face each other. It’s wise to sew a few stitches around the edges of these cuts to reinforce them. Now cut two pieces of cord (or ribbon), I particularly like using colour co-ordinating cord here. We now need to thread the cord through one hole and bring it around the entire circle and back out the same hole. With the other length of cord you need to thread it through the opposite hole and again pull it through the entire circle and back out. Either side is then knotted together. Tip. If you find it difficult to thread the cord through, a hair grip attached to one end of the cord can make the process easier. 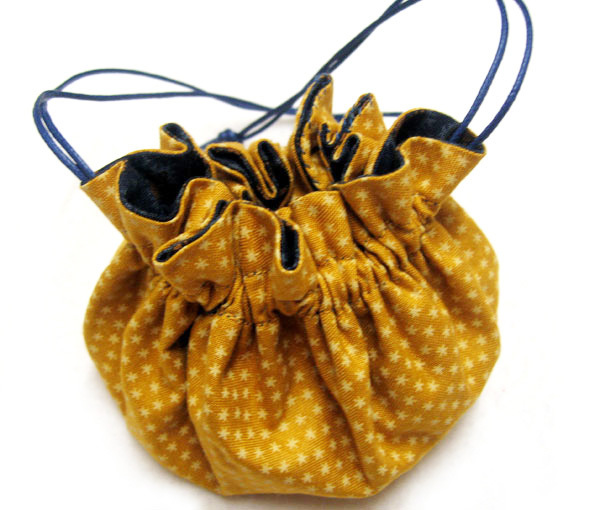 Pull your cords together and you have your completed bag! You can also turn it the other way out and it still works very well. 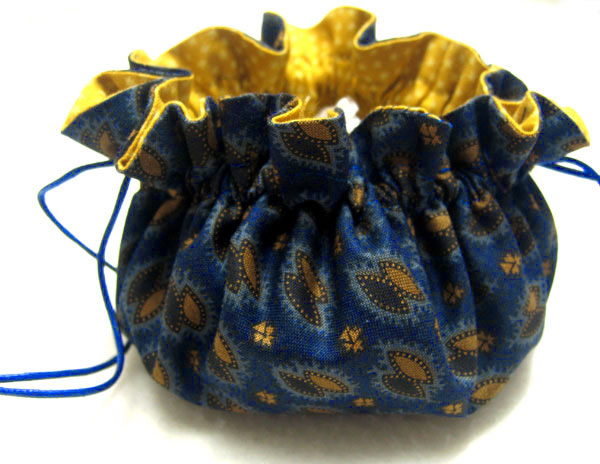 This entry was posted in Tutorials and tagged drawstring bag, gift, jewellery, ridesmaid's bag, sewing. Bookmark the permalink. 29 Responses to The Bag of a Thousand Uses Tutorial! Thanks for visiting my blog and following! I'm now following back. new follower from bee friendly friday blog hop. i'd love for you to stop by my blog and follow back. I admire this beautiful talent, love the bag following you! You made it look so easy hehehe. New follower from the bloghop. Thanks for visiting my blog. I love yours! I’m following you back from the blog hop! Stopping by to say hello! I found you on the Hop Along Friday and I now follow you. Would you mind stopping by my blog and following back? Thanks!! I love it! Thanks for following and leaving a comment. I'm returning the favor and looking forward to reading more from you. I am going to have to bookmark this for making gift bags. Thanks for sharing! They look great. I found you through Closer To Lucy's Blog Hop! The first twitter link didn't work in the left corner at the top, but followed you on everything. Please follow back. Very cute bag. Thanks for stopping by my blog today, I'm following you back. Great tutorial!! I love these type of bags and have them for EVERYTHING!! Thanks for stopping by and I'm following you now! Following you. 'hope you follow me back, too. Building a great friendship here. Those are super cute! Great tutorial! I'm returning the follow! I love the bag . . . thanks for the tutorial!!! What a super cute, easy and smart idea!! I'll be zipping some out for our Valentines gifts! Thank you! I'm a new follower from Lucy's hop. following you back from the friday hop along! Sorry it took so long we had a long weekend of helping my parents move! Great tutorial Thanks! This is darling!! Love it!! Thank you for coming by and following me! Have a lovely Friday! I'm returning the favor! Following you back! Great project idea! Have a great week and I look forward to reading more of your blog!